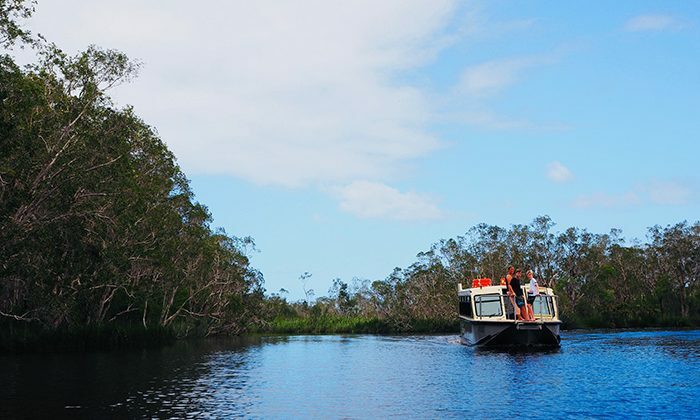 From a jetty off Noosa Heads, hop on board a sightseeing boat for a ride into the pristine Noosa Everglades, one of only two such everglade systems on the planet. 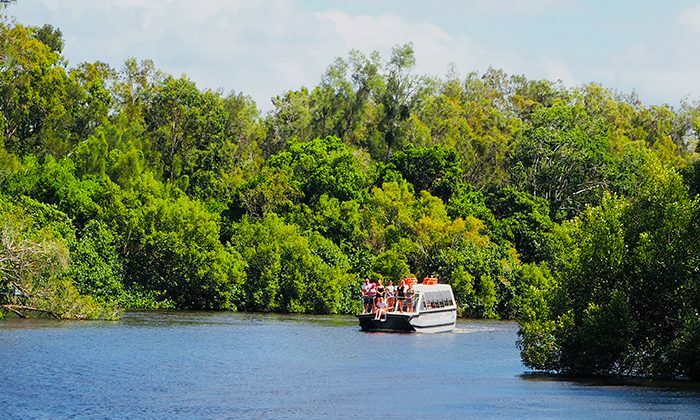 Leaving the town, you’ll pass eclectic houseboats, Richard Branson’s exclusive celebrity hideaway, and two large shallow lakes before entering Great Sandy National Park and its Heritage-protected biosphere. 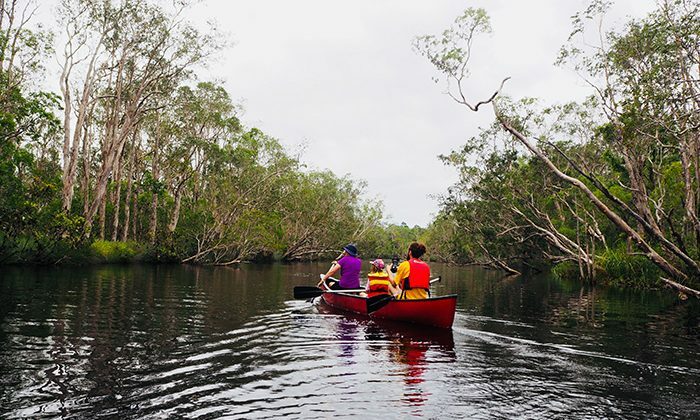 Motoring, or canoeing up narrow channels of tannin-rich water, you’ll quickly see why they call Noosa the “River of Mirrors”. Dense foliage reflects off the smooth waters, inviting swims, fishing, and magical photographs. Morning tea and coffee is served, with lamingtons and biscuits. After your paddle, enjoy a classic Aussie BBQ at the Harry's Hut rest area. Click here for a wide range of accommodation options in Noosa. The houseboats looked particularly fun! Boat trips depart from the Discovery Group jetty in Noosa Heads. 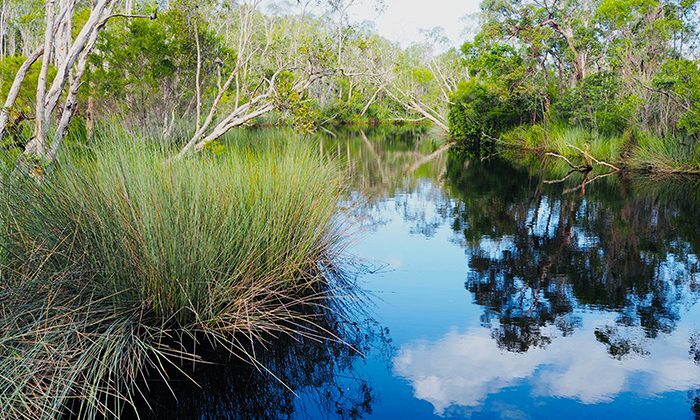 Australia’s everglade is is home to 44% of all the country’s bird species, over 1300 different plants, and 700 native animals. 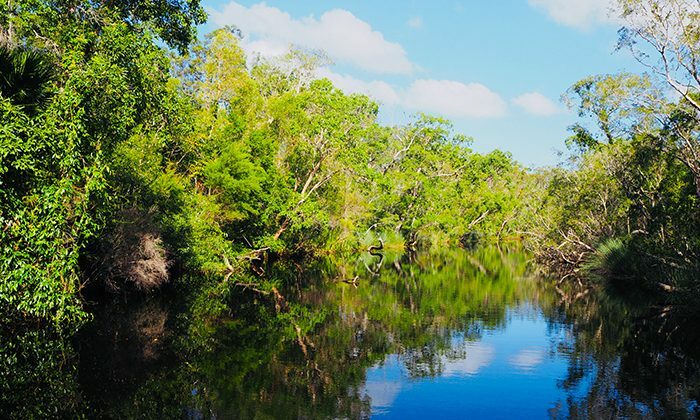 It is vast and simply impenetrable on foot, but when it comes to dense jungle wetlands, you'd much rather be on the water anyway. I didn't see much wildlife, but the opportunity to paddle along the riverways, smooth as glass, more than made up for it. 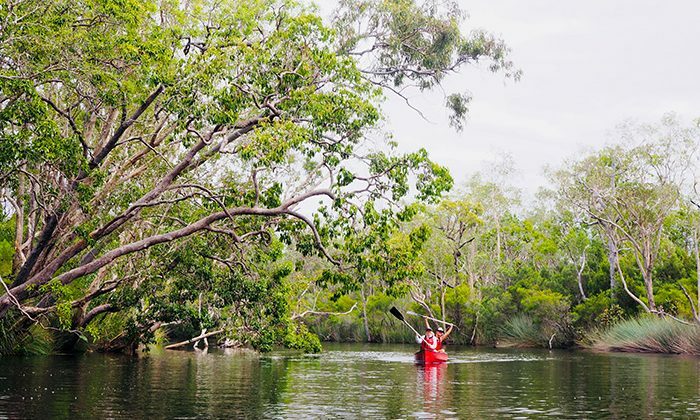 Does canoeing in the Noosa Everglades belong on The Great Australian Bucket List?